Henry Clay War Hawk Cigars - Buy Premium Cigars Online From 2 Guys Cigars . Named after Henry Clay, former Speaker of the US House of Representatives. The line War Hawk references how he was the leading voce among several young members of Congress who pressured President James Madison to defend our nation by declaring war against Britain in 1812. Clay believed strongly that military force was the only option left to fight British imperiousness. The term War Hawk was coined and is now used in political circles to describe one who favors war as an ultimate resolution of a conflict. 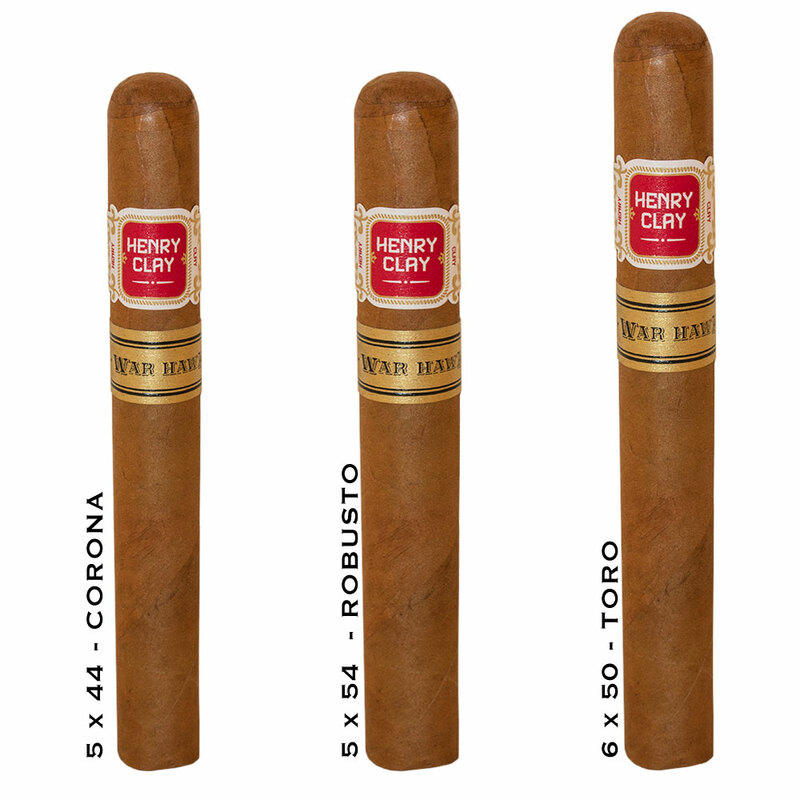 Unlike Henry Clay cigars of the past, the War Hawk features an Ecuadorian Connecticut wrapper over a Connecticut Broadleaf binder where as in the past that varietal serves as the wrapper. The result is a cigar that is extremely flavorfull and rounded out with Honduran fillers.